If you are referring to the Triquetra Tool Box, it is available now. I'm working on a video demo but as you can see below, I had bigger fish to fry yesterday. Sorry to here about your shop. Hope everyone is ok and that it is not too difficult of a repair. I spent yesterday getting the shop back in order. We had some very high winds come through and blew a 60 foot long wall off the foundation. It was just hanging there. I don't know how the thing didn't totally collapse. 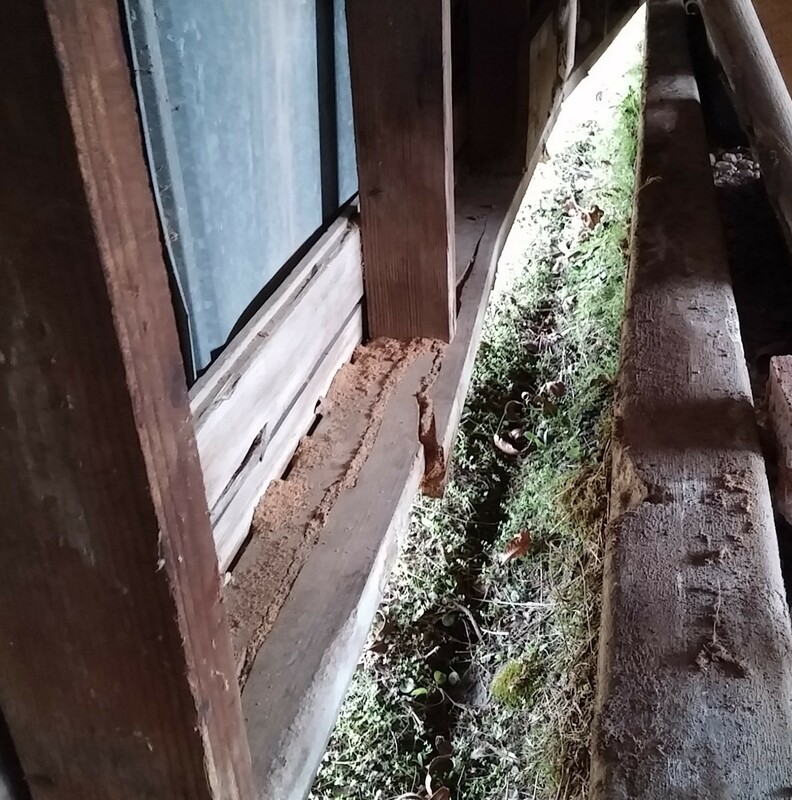 With the help of a 3 ton floor jack, a couple of 2X6's, my farm tractor, and my good friend Tony, by the end of the day yesterday we had the wall back in place and replaced the sheared off anchors with some concrete nails that use a 22 caliber shell to drive them in. Did you get the discount code for current owners. I don't recall sending you one? Just to remind everyone, If you are a current Triquetra Touch Plate owner or if you purchased the G-Code Generator spreadsheet by itself without a touch plate then you qualify for an additional discount off of the current sale price. Go to www.triquetra-cnc.com and complete the contact form that you can find on the product page for the Triquetra Tool Box and after I validate your previous order I will send you the coupon code. I have not recurved a request from you. Sent the two yesterday, and then sent one again this morning through the website. The second yesterday and the one today I clicked on the copy myself button and I got an email both times. Hopefully it went through this morning! Thanks Charley! I had yet another person contact me and tell me that they have not received a reply to their request for the owners discount. I just found the problem that was causing the requests to vanish in the bowels of the internet. I have fixed the problem and it should work now. Turns out that the website plug in I was using to create the contact form is not compatible with the update to my web hosting software. I have a new contact form program and I just tested it. to resubmit it so I can get that code to you as quickly as possible. I apologize for any delays but they should be rectified now. I just went to the website, and logged into my account with no problems. I then clicked on the Triquetra owners link, again, no problem. At the very top of that page it says "BETA TESTERS CLICK HERE". That opens a new window that says "RESTRICTED ACCESS" and says if I am logged on to click in the only place I can, which takes me back to a log on screen. This is an endless do loop for me. I don't know if any other Beta Testers are having this problem. That's the first report of that. I will check it out. I also left an online support note for you on the website. I just changed the link on the Users Page for the Beta Testers so that it opens without creating new tab. Give that a shot and let me know if it works better. When I test it there is no problems. I'll let you know when I get home from work. If you are referring to the Triquetra Tool Box, it is available now. I'd start a new thread announcing the availability. I just stumbled across the announcement yesterday. 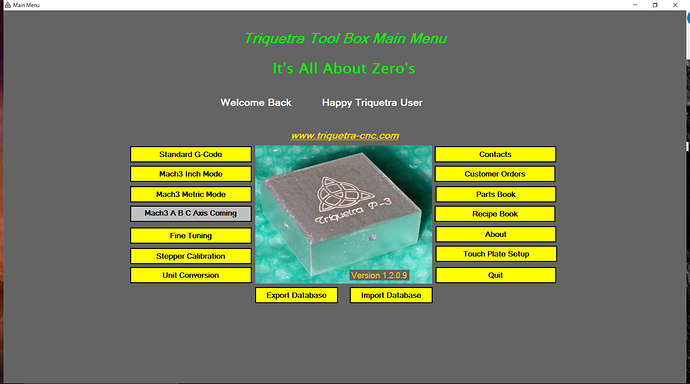 I just released Version 1.3.0.4 of the Triquetra Tool Box. There are a few cosmetic fixes but the main point of the update was to incorporate "High Precision" zeroing. This is now built in to all the standard g-code files that are used by most X Carve users. For Mach 3 users, they will have an option to use High Precision zeroing. They also have prompts to select bit sizes instead of having to type in the values. With High Precision Zeroing, your machine will search out the touch plate X and Y axis before zeroing. This will insure that your zero point is set based on the exact same location on the touch plate every time. The benefit is that you will be able to re-zero and your zero points will be exactly the same as they were the first time. This also corrects for any imperfections in the touch plate. You could literally have a touch plate that was way out of square and still achieve an accurate X Y Z Zero every time. This will add a few seconds to your zeroing routine but the benefits outweigh the costs of a few seconds. If you have the online version then you will be notified automatically of the update. If you have the Offline version then you will have to download the update. You can download the software HERE. Thank you to all the faithful users of the Triquetra Touch Plate!! If you are referring to the video that was originally added at the very beginning of this topic, it has been deleted because it is so far out of date with the current version of the software that it didn't give an accurate representation of what the Triquetra Tool Box is now. Unfortunately I cannot edit that original message any longer because it is so old. If you scroll up this thread to post number 64 there is a video that is a better representation. The Triquetra Tool Box is now included with the purchase of the Triquetra Touch Plate. If you purchased a Triquetra Touch Plate before January 2017 then you can email me for a discount code to get it for 75% off while my current Triquetra Touch Plate Sale is going on. Thank you, i actually ordered mine last week, and it's coming in the mail today, very excited to get off work tomorrow morning and try it out. I'm sure you will get years of use from it. I'm still using the first Touch Plate I ever made. Just a reminder though, if you have already downloaded the Triquetra Tool Box, I uploaded an update yesterday. If you have the online version then ti will automatically notify you of an update. If you have the offline version then you can just download and reinstall it to get the latest version.